RHYTHM FOR DANCERS: It's time to raise the bar for rhythmic literacy! A dancer's immediate connection to the music is the rhythm produced by the Tabla and percussion. Karim teaches each rhythm using the three-sound clapping approach. Karim then performs sample rhythms on the Tabla. Students will learn each rhythm by name, "dum-tak" vocalization, and clapping. Afterwards the dancers will learn choreography segments to help gain bodily control with the sample rhythm, putting theory into practice. By physically personifying each Rhythm, bodily mastery of that rhythm will be achieved. This movement workshop is perfect for any dancer who wants to better understand what they are dancing to. CYMBALISMS (Zills, Sagat, Finger Cymbals w/ Movement): You are a dancer and a musician at the same time. Your hands can play any rhythm that a drummer can play. You can accent the orchestra, follow the dynamics of the song, or simply choose the right moment to not play. Sagat (Egyptian word) and Zills (Turkish word), when played correctly, can add to a dancer's dynamism and effect. Karim will teach multiple sounds (Dum, Tak, Tik, Tok, Kish) to give the cymbals the desperately needed variety. He will teach ambidextrous technique, so the dancer can play, and Move, in both left and right directions. He will also teach several famous rhythms, so that the dancer can communicate to a drummer or to her own students. In addition, Karim shows how to play with a melodic song, when to play a rhythm vs. accents, and when to stop or not play. Finally, he shows movement combinations, both stationary and traveling, while playing the cymbals. Each dancer will be transformed into a moving musician. LIVE DRUM SOLO FOR DANCERS (movement class): Some dancers fear it ! Some overuse it ! Yet everyone adores a solo where the rhythmic drums and the accurate body lock together. Melodic songs are lyrical and eloquent. But drum songs are percussive and articulate. Fact:Â drum solos in the Egyptian, Arabic, or Cabaret style are systematic. There have predictable themes. Each is like a variation on a famous story, retold with new voices and with different accents. Karim is a drummer and a dancer, so he knows what both creatures need in order to breed together. He will teach the iconic Hagalla sequence, the shimmy-to-roll-relation, dum hips & tak shoulders, signaling, Masmudi's many Dums, Wahda Kabira to Fallahi. Ayoub's momentary Zaar, and how to 'Finale' together, benevolently!Â After this class transforms you, a deaf man will be able to hear the drums by watching your body. This class uses exclusively LIVE drumming, and teaches the dancer how understand and communicate with the drummer, what to expect, and how to be ready for improvisation. 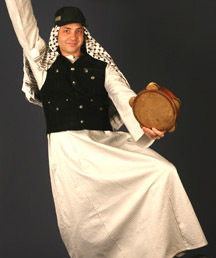 RIQQ RAQS (dancing while playing tambourine): The dance of the tambourine is a perfect synthesis of rhythm and motion. Students will learn to play famous rhythms, accents, and improvised solo phrases on the riqq. A dozen steps, isolations, and folkloric ritual movement combinations will be added to the playing of the riqq. The dancing drummers will play above the head, rotate, travel, and step with their musical prop. The class will create formations using human patterns, where each dancer moves in opposition, and unison, with the other players. The class culminates in a choreographed ritual, where each dancer delivers a rhythmic riqq solo, as the rest answer in a tambourine chorus. Students must bring Any tambourine that has plastic or animal skin surface and cymbals. We will move to our own live music. DRUMMING FOR DANCERS & DANCING FOR DRUMMERS (drummers and dancers together): This revolutionary class will bring dancers and drummers together, to teach them how to perform and interact. The drummers will learn the famous Arabic rhythms, phrases, and drum solo themes. The dancers will learn how to respond to each rhythmic phrase, how to coordinate their body isolations with each drum passage, and how to dance properly with a drum solo. Both dancers and drummers will learn how to both lead and follow each other. Improvisation will be taught, as well as how to develop an entire Drum Solo Dance routine, with a perfect climax and finale ending ! SAIDI TAHTEEB & ASSAYA: Dancing with sticks and canes is a quintessential expression in Egyptian village dance. The southern half of Egypt, know as Upper Egypt due to its higher altitude, is called "al-Sa'id" in Arabic (pronounced iSa-yeed)". The Saidi people are famous for this semi-acrobatic stick dance called "Tahteeb" for men and "Raqs Assaya" for women. It is essentially a form of martial art where the manipulation of the stick and the demeanor of movement replicated village life or battle scene. The main motions with the stick include spinning, twirling, rowing, flipping and striking. Often two dancers will enact a friendly battle with synchronized sparing and coordinated strikes. But the essence of the Saidi dance is in its demeanor. The body moves heavily and confidently with a subtle pulse. Grace is more valued than aggression. This dance is done solo or in groups where the sticks are operated in unison, and men and/or women play together. Karim teaches with the strait cane (any dowel between 3' and 4') and covers all the basic spins, flips and strikes. He stresses ambidextrous technique and utilizes both hands for the entire lesson. Double Cane is also demonstrated. The class culminates in a short choreography. DABKE (Arabic line dancing): Literally meaning "Stomp" in Arabic, Dabke (also spelled Dabka, Dubki, Dabkeh, plural Dabkaat) is a group dance found in the Eastern Arab countries. Performed mostly as a unisex line dance, Dabke is avidly done at the weddings and parties of Lebanese, Syrian, Jordanian and Palestinian communities. A version can also be found in Iraq, known as Chobie. The movements include rhythmic stomping, kicking, sidewards walking, hoping and jumping. In social settings the dancers hold hands and form long moving lines or wide rotating circles. There are also many stage performances and musical theater shows that feature Dabke dances. You may also find Dabke used as a form of non-violent social protest during war and conflicts. But it is primarily a proud and energetic group line dance enjoyed by all ages and both genders. SUFI DANCE RITUAL (Egyptian Moulid Zikr, and the rapture of the swaying dance): There are innumerable Muslims in the world who actively use movement, rhythm and chanting as an extension of prayer. Sufis (meaning "mystics" or also "those who wear wool", in Arabic) are Muslims who use artistic ritual to help reach a state of knowledge or trance. The goal is to have an active experience of God "Allah" or Peace "Salaam". The movements are primarily swaying, spinning, bobbing, turning and tossing. Sometimes the energy swells to a point of abandon and emotive release. The rhythm is essential in propelling the meditative motions. Drumming and Percussion are the main catalysts. The beat can also given by rhythmic chanting. These chants can be as simple as repeating the name of God "Allah" or as complex as a hymn or sung poem. Regardless of religious affiliation, the Sufi ceremony can be done by any group using unified movement, and lead by a strong rhythm that accelerates until it reaches an ecstatic climax. The class is preceded with by a talk and explanation of Islamic Sufi practice and the concept of Nashwa (ecstatic bliss). ARAB FOLK DANCE INTENSIVE: This class is an intensive introduction to the traditional group dances from the Arab world. These dances are primarily unisex, and emphasize synchronicity and group cohesion. This workshop includes Dabka Line Dance, Basic Tahteeb/Assaya Cane Dance, and the group-healing ritual motions found in Zikr and Zar practices. Each dance is taught efficiently as an introduction to the style, and is an initiation into possible future study. These dances are less glamourous than the performance-oriented heroism of the solo dances found in the Arab world. These are the dances done by "The People" in social, celebratory, and spiritual group settings. They can be taught to dancers at any level, as both a cultural and artistic experience. The group movements and concepts can later be extrapolated into performance-calibre skills and themes. MAQAM and TAQSIM FOR DANCERS: Maqam is the Arabic system of scales and melody creation. All songs, weather classical, pop or dance, are created in a Maqam, which dictates whether the song is happy, somber, uplifting, spiritual or sensual. We align notes in the scale with specific body isolations, allowing them to follow a maqam by using her dance vocabulary. Dancers will learn how to recognize, sing and move to maqams by learning famous song examples. Special attention will be given to Taqsim, the art of instrumental solo improvisation. The dancer will practice interpreting the instrumental music into movement and personifying the mood of the music. This workshop is vital for dancers who wish to better interpret melody into movement. MUSICALITY FOR DANCERS: Despite any mastery of technique and bodily dexterity, true dance expression requires musicality. The best dancers are those who emulate the music into their own movement. Karim will demystify Arab music for the dancer. Several recurring themes in Arab music will be identified (using recorded examples) and explained in emotive, non musical terms. The class will cover Taksim, Melodic Themes, Vocal vs Instrumental Songs, Rhythms & Rhythmic Changes, Melodic Modulation, Song Structure, Orchestration and Instrumentation. Karim will guide the students through several songs and lead them in dancing to each of these themes. This is a movement class that will help the dancer become the physical personification of the music. SURVEY OF ARAB MUSIC FOR DANCE (LECTURE): Although music exists without dance, dance rarely exists without music. Arab culture has a strong dance tradition with specific music that propels it. Students will study the relationship between music and the movement it creates or accompanies. The context, storylines and themes of each song will be explained. Overviews and recording samples will be given in the categories of Performance (Stage Dabka and Raqs Sharqi), Ritual (Zikr, Zaar, Sama/Whirling), and Social Dance (Dabka and Raqs Baladi). Karim will also demonstrate the intimate connection between rhythm and movement in the Performance category, with live examples. ARABIC MELODY FOR MUSICIANS: All melodic acoustic instruments are welcome is this ensemble-style workshops. Students can bring any western or eastern wind, plucked string, or bowed instrument. Reading notation is not mandatory. Students will follow Mr. Nagi and learn how to play melodic scales and phrases of Arabic music. This class will guide the students through famous Arabic Maqam scales, decoration & ornamental playing, and Taqasim improvisation. It will develop their ears, and understanding of the Arabic style, all while using an instrument that they are already comfortable with. ARABIC SINGING WORKSHOP: Both women and men will learn how to sing in the Arabic style. This class will cover famous Maqam musical scales, vocal ornament, Arabic language pronunciation, layali and mawal & improvisation, and regional styles. Neither comprehension nor reading of Arabic language is mandatory. Famous song passages from Egypt, Lebanon, Kuwait and Morocco will be taught, helping the student develop regional styles. In addition to singers, this class is open to dancers, drummers, instrumentalist, and anyone who wants to be closer to the Arabic music and language. ARABIC RHYTHM ENSEMBLE: All drummers are welcome. Students may bring any type of Arabic or World percussion drum, as long as the instrument can make at least 2 different sounds. Mr. Nagi will teach several famous Arabic rhythms. These rhythms will come from various regions of the Arab world, including Egypt, Iraq, Morocco, Saudi Arabia, and Syria. The students will later link the rhythms into a composition, that can be performed. This class will not only teach rhythm and style, but also how the drummers can function in a group, and create percussive songs together. ARAB DRUM WORKSHOPS "SAIDI, SAUDI, SUDASI" (SSS): Students may bring their Arabic Tabla, Dumbek, Darabuka, Riqq, Duff, Muzhar or Frame drum. Karim will teach these three dynamic rhythms, emphasizing the Arab technique of double off-hand taks and running method. Students will learn how these rhythms propel specific dance styles from around the Arab world. Karim engages all levels from advanced beginner (someone with basic skills) to advanced intermediate. Every level will be adequately challenged and will benefit from the ensemble approach. ---SAIDI (Southern Egyptian) is used for cane dance, ghawazee, pop and folk music. Karim will teach a four part Saidi with emphasis on the empty first beat, and slow yet bubbling tempo. ---SAUDI (Arabian Peninsula) is used for "Khaliji" urban and popular folk music. Karim will teach the polyrhythmic multipart version that illustrates the Afro-Indo influence. ---SUDASI (Lebanese and Palestinian) is used for Dabka unisex line dance. Karim will teach this unique yet common 6/4 rhythm with variations to accent stomp choreographies. ARAB DRUM WORKSHOPS "MASMUDI, MALFUF, MAGHREBI" (MMM): Students may bring their Arabic Tabla, Dumbek, Darabuka, Riqq, Duff, Muzhar or Frame drum. Karim will teach these three dynamic rhythms, emphasizing the Arab technique of double off-hand taks and running method. Students will learn how these rhythms propel specific dance styles from around the Arab world. Karim engages all levels from advanced beginner (someone with basic skills) to advanced intermediate. Every level will be adequately challenged and will benefit from the ensemble approach. ---MASMUDI (Classic Egyptian Style) is used in both folkloric and classical Egyptian music. Karim will teach both "Kabir" (big) and "Saghir" (small, a.k.a. "Baladi) with multiple Dum variations. ---MALFUF (Palestinian & Lebanese Style) is used for Dabka unisex line dance. Karim will teach the tight and loose versions with multiple Dum accents. ---MAGHREBI (Moroccan 6/8 to 2/4 transition) is a generic term for Moroccan & North African rhythms. Karim will teach Shaabi 6/8, and it's transition to Rai-Karachi 2/4. ARAB DRUM WORKSHOPS "ADANI, BAMBI, CHOBIE" (ABC): Students may bring their Arabic Tabla, Dumbek, Darabuka, Riqq, Duff, Muzhar or Frame drum. Karim will teach these three dynamic rhythms, emphasizing the Arab technique of double off-hand taks and running method. Students will learn how these rhythms propel specific dance styles from around the Arab world. Karim engages all levels from advanced beginner (someone with basic skills) to advanced intermediate. Every level will be adequately challenged and will benefit from the ensemble approach. ---ADANI (Arabian Peninsula) is used for "Khaliji" urban and popular folk music. Karim will teach the polyrhythmic multipart version that illustrates the Afro-Indo influence. ---BAMBI (Folkloric Egyptian) is a specialty rhythm used for cane dance, and folk music. Karim will teach the multi Dum version of Bambi with the heavy syncopation. ---CHOBIE (Folkloric Iraqi) is used for the Iraqi unisex line dance also called "Chobie". Karim will teach this Malfuf-based rhythm with the triple Dum beginning, in both the 4/4 and 6/4 versions. RIQQ (ARAB TAMBOURINE): The "Riqq" tambourine is the lead percussion instrument in the Arabic orchestra and classical ensemble. It is played with the fingers on both the skin and the cymbals. The technique calls for three different holding possitions and techniques. In addition to Arabic music, these instruments are widely used in Turkish, Iranian, Balkan, Gypsy and Mediterranean music. Students will learn technique, stamina, rhythmic repertoire and various ethnic styles. Karim Nagi has recently authored a comprehensive Intsructional Riqq DVD. ARABIC TABLA (Beginner): This course focuses on the Arabic Tabla (aka Doumbek, Darabuka). 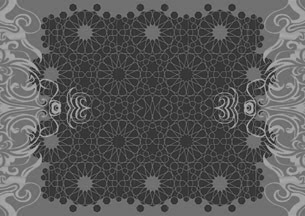 Students will learn technique, rhythmic vocabulary and the essential stylistic approach to Arabic rhythm. This course creates a strong foundation for later advanced drum performance. This course is designed for people with rudimentary knowledge of music, percussion or Middle Eastern drumming.